Prevention is better than cure. This saying fits perfectly to children’s oral health. 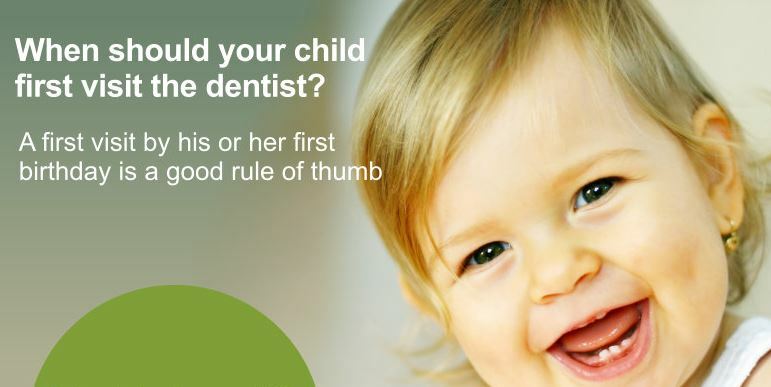 The Australian Dental Association’s recommendation is to take your child to the dentist shortly after the eruption of the first baby teeth, or around 12 months of age. Finding the signs of early childhood decay is key. If the decay is left for long periods of time it will worsen the outcome for the tooth. Initially, it will look like white patches on the teeth, often close to the gum line. You won’t be able to clean it off. Eventually they will break down further forming holes. What if my child has never been to a dentist? The first dental visit for a child will usually determine how they feel for the rest of their lives about a dentist. By preparing the child before their visit, you can help alleviate fears. •	Don’t use negative words eg. Hurt, shot, needle or drill.